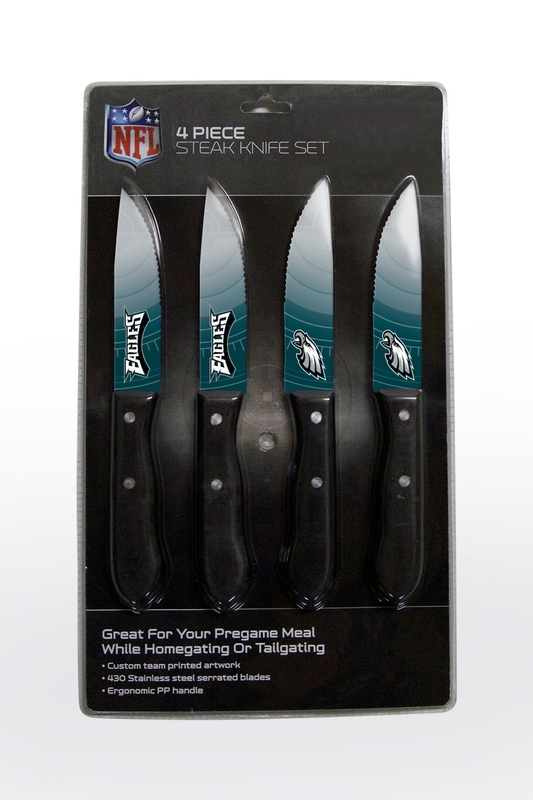 Soar high and represent the home team at every meal with the Philadelphia Eagles Steak Knives Set of 4. 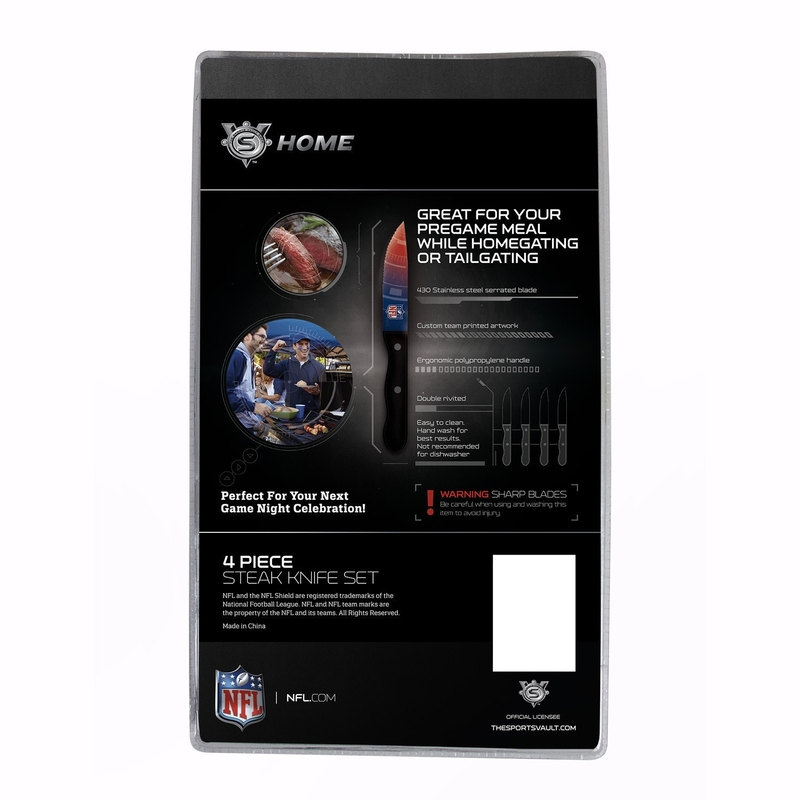 Unlike imitation flatware, this Nfl officially-licensed flatware set features brilliantly team-colored handles, while the blades are wrapped in Eagles artwork and dipped in surecoat to ensure you enjoy the dynamic artwork for several years to come. Forget about the need to sharpen and quickly cut through your favorite meats with the serrated stainless steel blades. The handles are non-slip and ergonomically sound due to the use of extra durable polypropylene. The blade is secured in the handle with two reliable and rugged stainless steel rivets. Whether you keep the set for yourself or gift it to a friend, the Philadelphia Eagles Steak Knives Set of 4 is the perfect way to celebrate the Eagles. 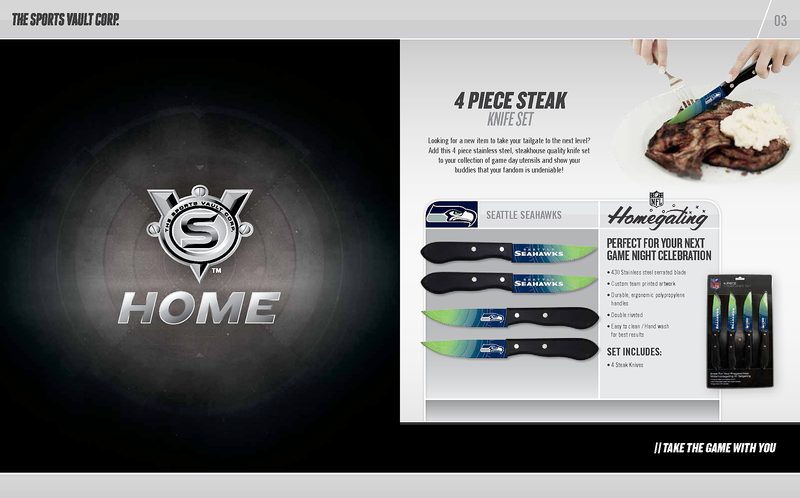 Soar to new heights and order the Philadelphia Eagles Steak Knives Set of 4 today.